Holiday tidings are upon us, and as the country spends the next 36 hours sharing their love with family and friends, we, the truly enlightened, are grinding Magic card value in front of our computers. Today we’ll hit a cross section, touching on Standard, Modern, and EDH. Buy some cards, then go eat a bunch of christmas cookies, drink egg nog, and fall asleep before the stomach ache sets in. I’m poking my head into Standard again with the release of some Ravnica Allegiance spoilers. This time around the guilds are Orzhov, Gruul, Azorius, Rakdos, and Simic. Of the mechanics we’ve seen so far, Orzhov’s ‘afterlife’ is possibly the most competitive-aligned. Back in the second Ravnica era, there was a remarkably successful and popular deck by the name of Aristocrats. Lacking anything in common with the meta-joke told by comedians to each other, Aristocrats was a strategy that used Doomed Traveler, Falkenrath Aristocrat, and their ilk to value opponents out with plenty of 1/1s, small advantages, clever play, and fun interactions between creatures. ‘Afterlife’ is a codified version of this deck, essentially turning every single creature with the mechanic into a Doomed Traveller. Even if a true Aristocrats-style deck doesn’t materialize, the value generated by your creatures leaving behind a 1/1 is significant when utilized properly. March of the Multitudes favorably interacts with afterlife on two dimensions. 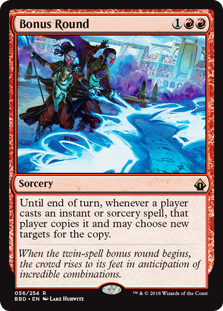 On the one, afterlife ensures that you’re better able to keep bodies on the board to convoke into a large March. On the other, both March and afterlife create 1/1 tokens, meaning that both are going to be rewarded for the same payoffs, e.g. Divine Visitation. March at $5 is just about as low as we’re going to see it in Standard. 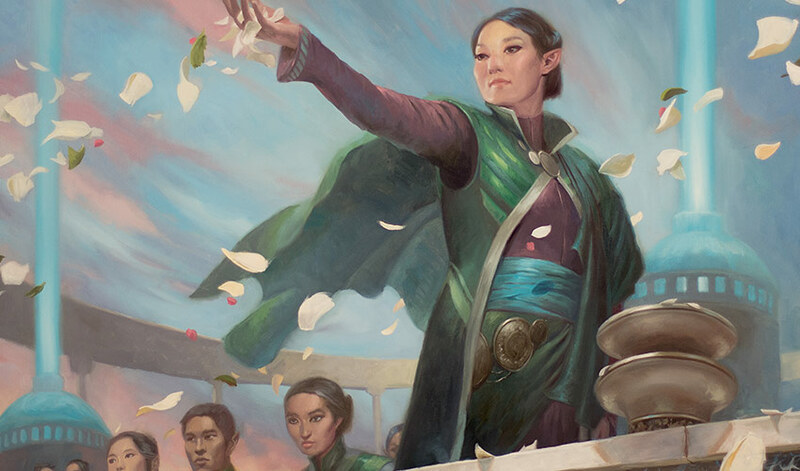 If an afterlife value engine emerges from Allegiance, and March is part of that, we could see prices double or even triple as the key mythic in the deck. Keep an eye out for forthcoming articles from pros, specifically Sam Black, to see if they combine the two. On the Modern side of things, Ultimate Masters brought quite a few reprints that will reward opportune investment. There’s price points all over the board here to capitalize on, and on the lower end of things, we have Kitchen Finks this week. 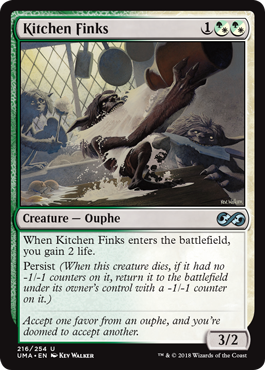 Now, if you know anything about Magic, I don’t need to explain Kitchen Finks to you. Other than perhaps Lightning Bolt and Birds of Paradise, I can’t think of a card that has been a more permanent staple of the format. Their usage waxes and wanes with the format, of course, but you’ll never lose money betting that you’ll find a few of them floating around the room of any Modern tournament. With UMA come new pack foils, which are available for as low as $4 today. Looking in on other foil editions, we can see that’s quite low. MMA foils are fetching $8 to $9, and they rise from there, up to $30 or so for Shadowmoor foils. With Finks’ ubiquity, I see the UMA foils catching the MMA ones eventually. If you’ve ever wanted a foil set, grab your UMA ones now, because I suspect they’ll catch up to the MMA ones before long. As an addendum, those box toppers are great looking, and liable to climb strongly from $35. If you can catch some of these on an eBay 15% off sale or something similar, I’m a fan. I suspect box toppers across the board are going to rise, and these are eminently playable, and cheap enough that one could chase the full set. Over in EDH, Niv Mizzet continues to be one of the most popular “not Atraxa or Muldrotha” commanders. As a general that encourages drawing cards and pinging people, there are some cool ways to build him, such as those that use Thousand-Year Storm. And while that’s a cool card, it’s not what we’re looking at today. Rather, I’m checking in on Battlebond. Remember that set? All the way back from June of this year? Man it has been a long 2018. Yes, Battlebond was printed just six months ago, yet we’ve all collectively forgotten it exists. EDH hasn’t though, and they continue to make use of the cards found there. While scrolling through Niv Mizzet lists, I decided to check in on Bonus Round, and I see potential. Bonus Round is, most importantly, a cool card. EDH has lots of cards. Many are cool, and many are utilitarian. The cool ones are more likely to find their way into decks, because when deciding if your deck should be efficient or it should be cool, you’re going to pick cool in EDH. Bonus Round sets up huge turns that do awesome things, and no self-respecting EDH player is going to forgo Bonus Round in any deck where it fits. Not when it provides so much potential. You’ll find foils at $8 right now. There’s some on the market — some. It’s only been six months though. What’s this going to look like a year from now?